If your child has played youth sports for any number of years, you know there comes a time when coaches need to find various consequences (usually unfavorable) to correct poor performance, attitude or other things that need to be addressed. It’s the name of the game. And the name is usually synonymous with burpees, push-ups, suicides, gassers, shuttle runs, one-on-one, ball-on-one – we all know the drill. But what happens when we think a coach has gone too far? As parents, we’re usually trying to strike a balance between looking after our young athletes and teaching them how to advocate for themselves. There’s a fine line between questioning a coach’s technique and questioning a coach’s character. For athletes 12 and under, it’s best to advocate one-on-one with the coach away from the child. But for athletes over the age of 12, teaching them the valuable skill of advocacy is our best bet as a parent. 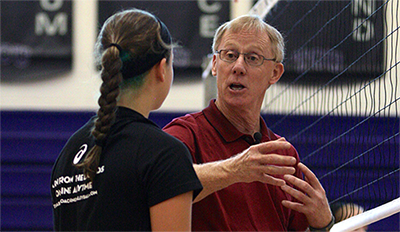 Invite yourself into the conversation – “Hey, Coach, is there a time we can meet and talk about my performance and the punishments/consequences given at practice?” The right time to have a conversation with a coach is when you invite yourself into it. Having the coach name the time respects his role in life and on the team. Use “I” statements – “You” statements put the other person on the defensive. Teaching children to advocate is also teaching them how to own their experience. A coach is much more apt to listen when a child says something like this: “I feel crushed when we have to do 100 burpees after we make a mistake in practice.” As a parent, we can also use “I” statements at home with our children to model this practice. Ask questions – Asking questions instead of blaming the coach will also ease tension. “That was a lot of burpees. Can you tell me how you arrived at that number? 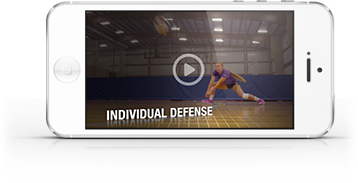 Will this make me a better passer, hitter, competitor?” Asking a question instead of blaming educates your player. Don't criticize the coach – Criticizing comes off as a power move. If the coach wants to know what you think he’s doing wrong, he will ask you. No profanity – It’s disrespectful and causes anger and frustration in the other person. When there’s anger and frustration, communication and resolution are hard to accomplish. Be thankful – Beginning the conversation with a statement of gratitude for what the coach is providing to the team (i.e. his time, expertise) and then addressing the issue can put the conversation at ease from the start. Also, finish the conversation by thanking them for their time and for the opportunity to discuss the matter. When we begin a team sport, parents and players alike need to understand that the coach is still the leader of the team. However, if a consequence seems extreme to you or your athlete, the guidelines above are a great place to start to open the conversation. Keep in mind, the most important place we can teach a young athlete how to advocate with character is at home. The way we handle things like conflict and adversity in our home is the biggest contributing factor to how they will deal with it outside the home.